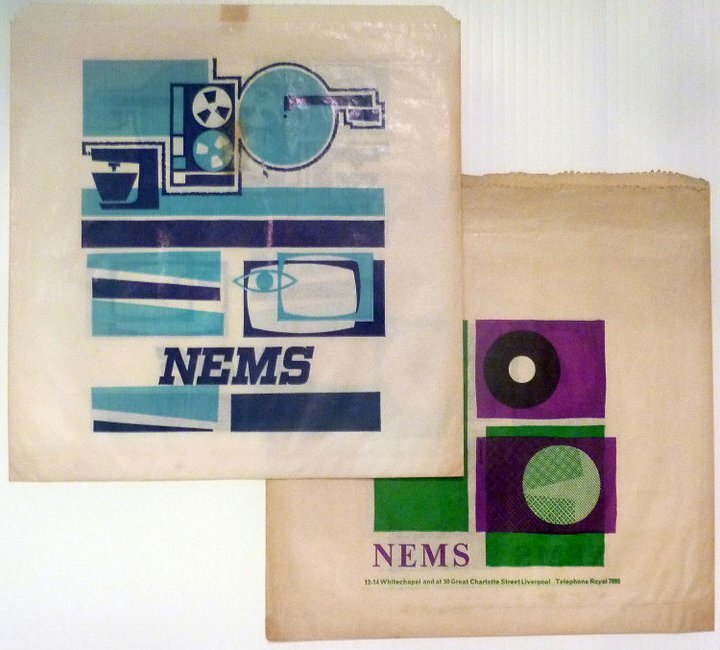 Liverpool Beatles Auction: Bag it up! 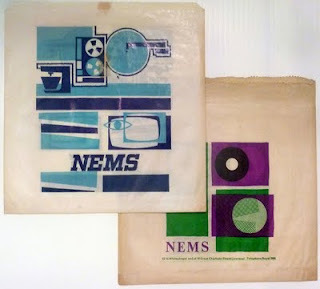 Like a lot of shops NEMs had their logos printed on their paper bags. These two small bags are the perfect size for singles and feature two different, striking designs. The auction takes place on August 27th 2011 at The Paul McCartney Auditorium at LIPA. It is organised by The Beatles Shop on Mathew Street, where lots are still being taken in up until June. Contact details are listed on the right of this page, and potential vendors and buyers should read the FAQs and the relevant buyers/sellers notes.